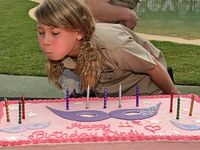 AUSTRALIA Zoo is inviting everyone to Bindi Irwin's 13th birthday party! Participants can win the chance to ride in a Cadillac and walk the pink carpet with Bindi on her birthday. Rock-n-roll star Bindi is turning 13 on Sunday, July 24, and everyone is invited along as Australia Zoo turns back the clock to the 1950s! On Sunday, kids 14 years and under will receive free* entry to party hard and celebrate Bindi becoming a teenager. The gates will open early at 8am, to make sure we can fit in all the free action and entertainment. Be sure to come along and get into the groove as you and your family take part in the rockabilly swing, twist and hip hop workshops - the dance crew will have you bopping along in no time. Plus the cast of Grease will have you clapping your hands and tapping your feet as they perform live in the Crocoseum. Throughout the day be on the hunt and find the hidden Blue Suede Shoes to win some fabulous prizes. You may even see Elvis and Buddy Holly wandering around the zoo singing their classics. Why not dress to impress? Wear your best rock-n-roll era outfit and have your hair styled just like Elvis, Sandy, Danny or James Dean in the 1950s makeovers. Be sure to get in early so you don’t miss the grand entrance of the birthday girl, Bindi, as she arrives in a Cadillac and walks the pink carpet on the way to her VIP birthday reception. But the celebrations don’t stop there. 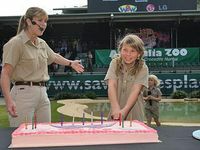 You could win your family the thrill of a lifetime - the ultimate behind-the-scenes experience of Bindi’s 13th birthday reception at Australia Zoo! 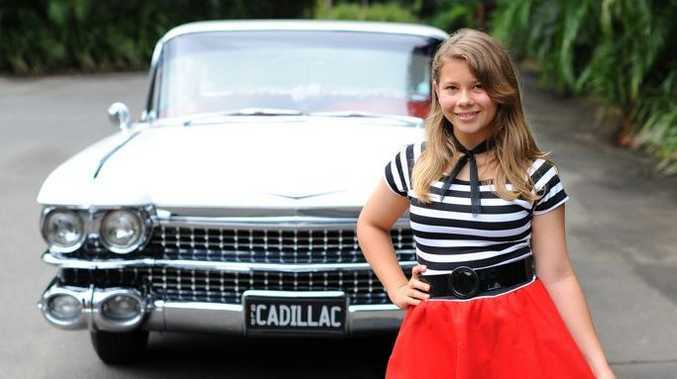 Be the winning bid in Australia Zoo's e-bay auction and not only will your family attend Bindi’s exclusive VIP birthday reception, your child could be riding in the Cadillac right beside Bindi and feel like a true movie star, walking right alongside her on the pink carpet. Wooo-hoo! All monies raised will go directly to Australia Zoo Wildlife Warriors to support the Australia Zoo Wildlife Hospital. 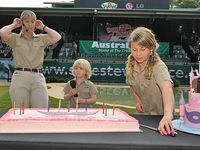 Visit Australia Zoo.com for conditions of entry and to place your bid. Be quick as the auction closes at 9.00am on Thursday, July 21. And be sure to visit Australia Zoo, where crocs and teenagers RULE! 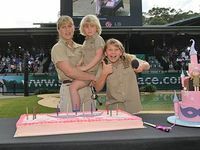 * Note: Children 14 years of age and under will be admitted to Australia Zoo on July 24, 2011, free of charge when accompanied by a full-paying adult.